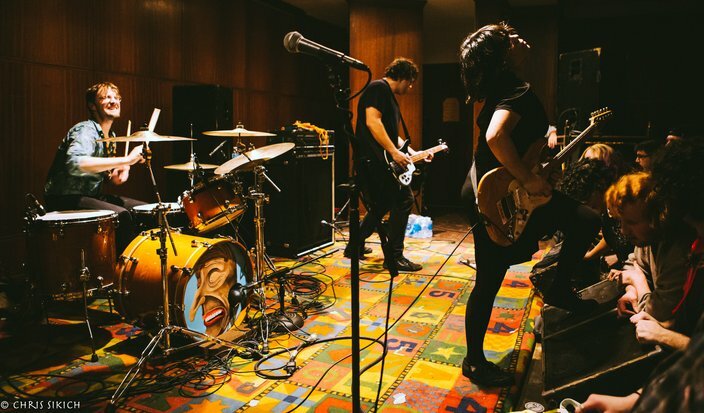 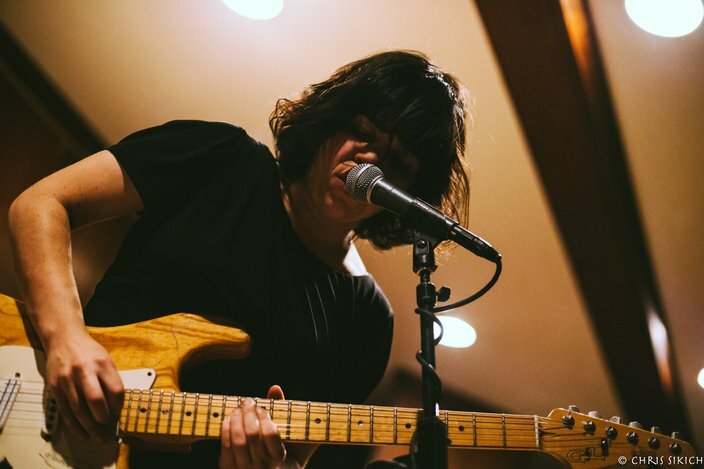 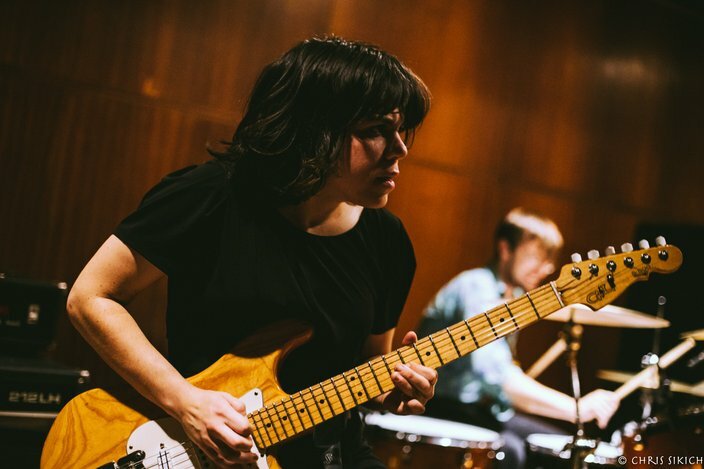 Screaming Females play First Unitarian Church on Nov. 6. 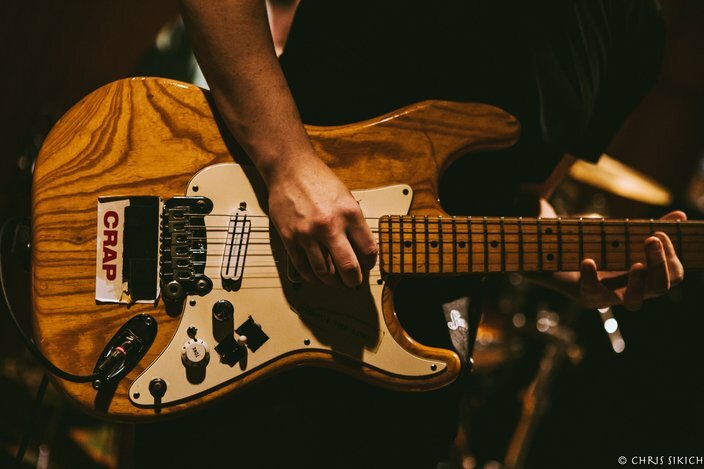 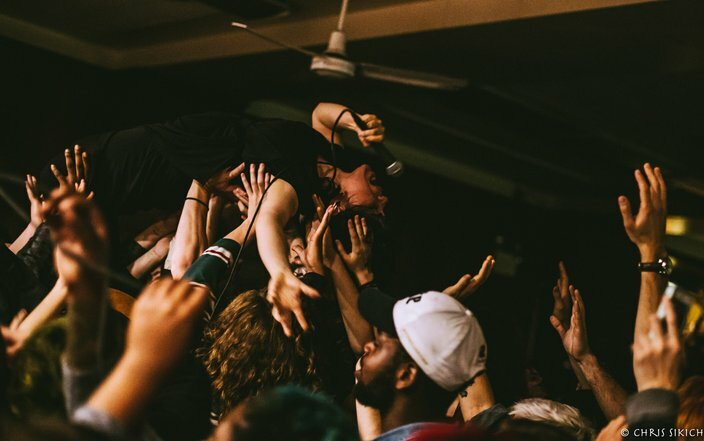 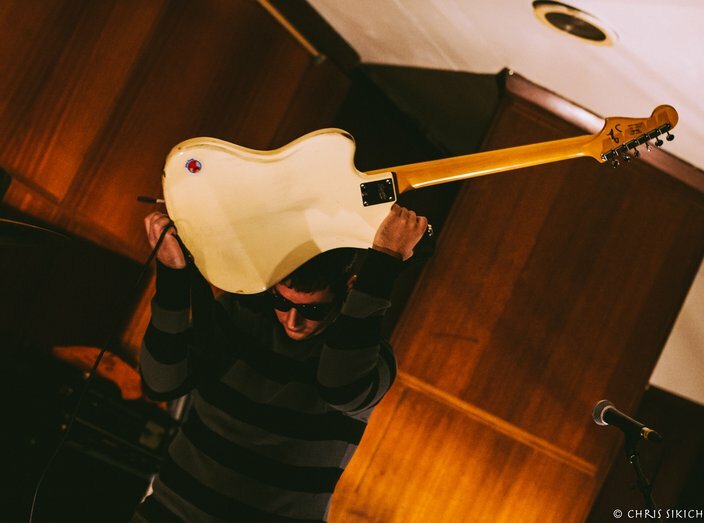 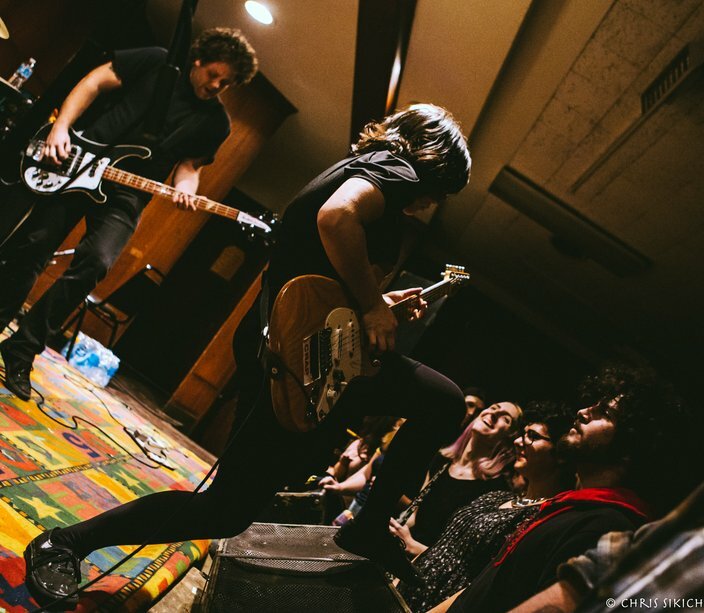 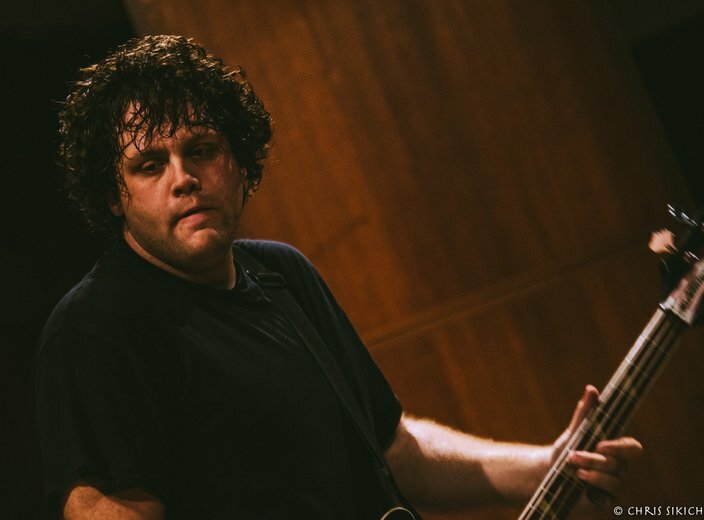 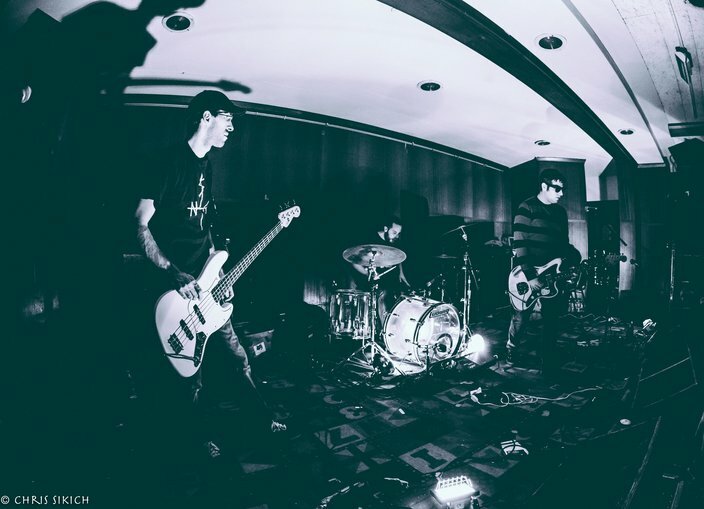 Once you see the Screaming Females in concert, you’ll want to see them every chance you get. 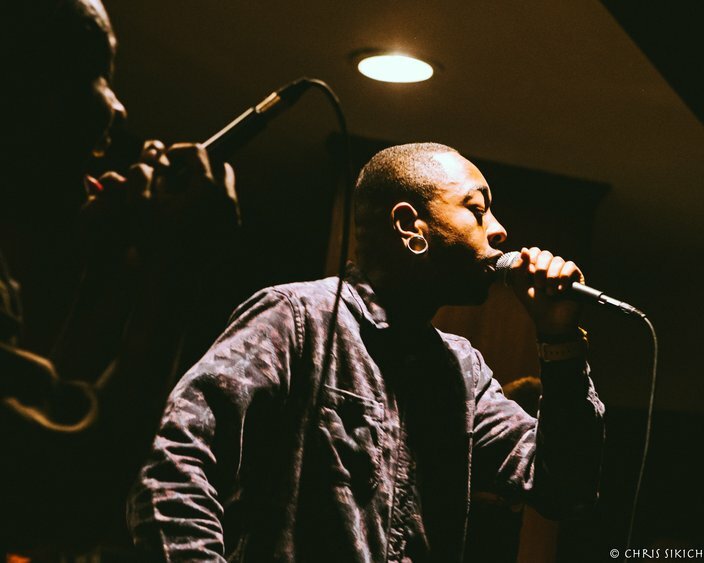 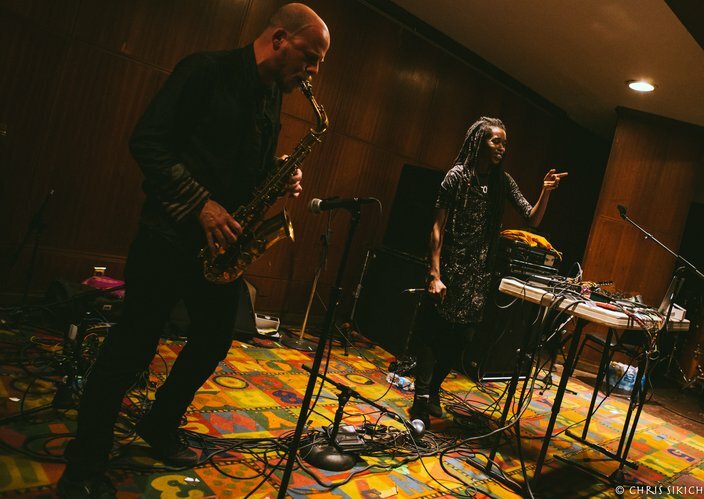 At their tour-ending stop at First Unitarian Church last night, the trio was pure music fire. 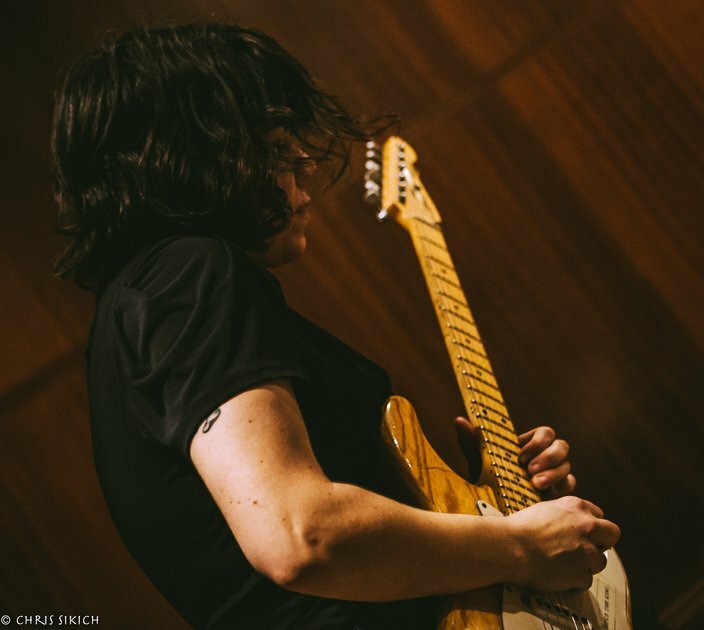 Marissa Paternoster and her guitar are the things of legend, and every time she starts in, it still swallows the listener whole. 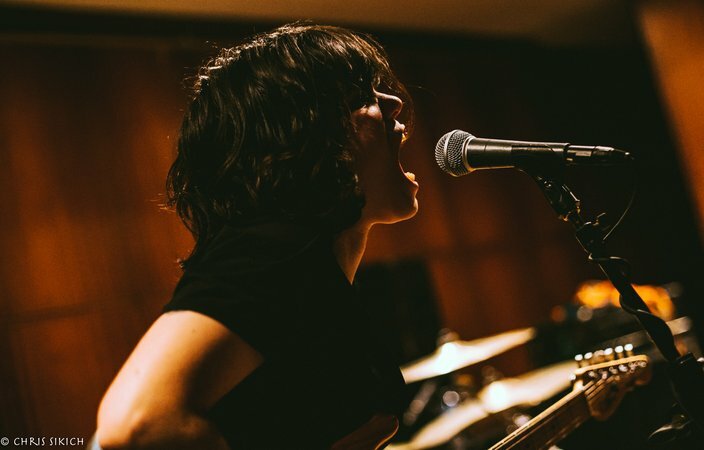 And the ferocity of her vocals, introspective and raw, make the whirlwind experience that is Screaming Females complete. 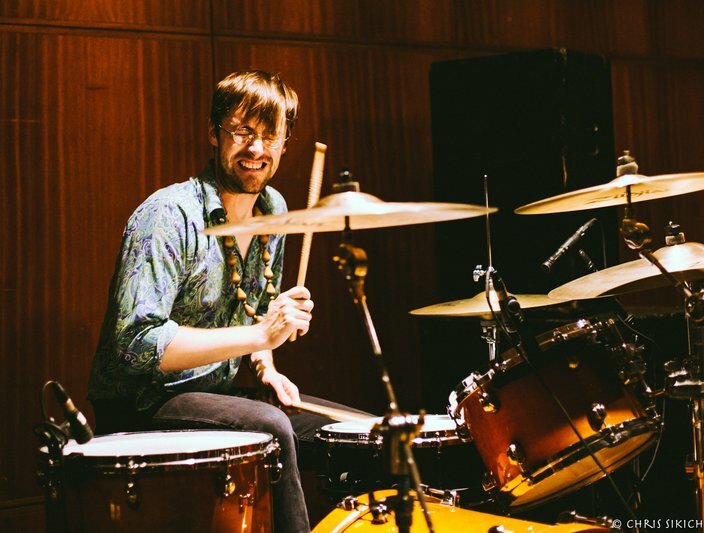 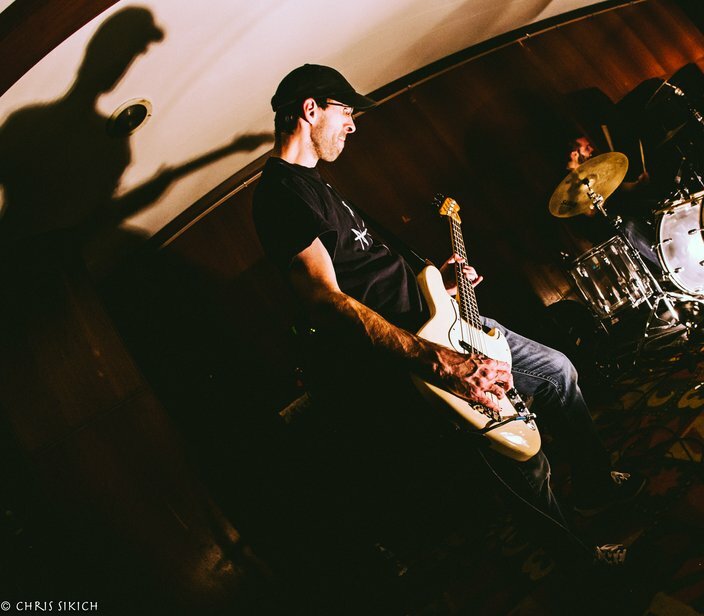 King Mike’s bass and Jarrett Dougherty’s drumming take you even deeper into a sonic vortex. 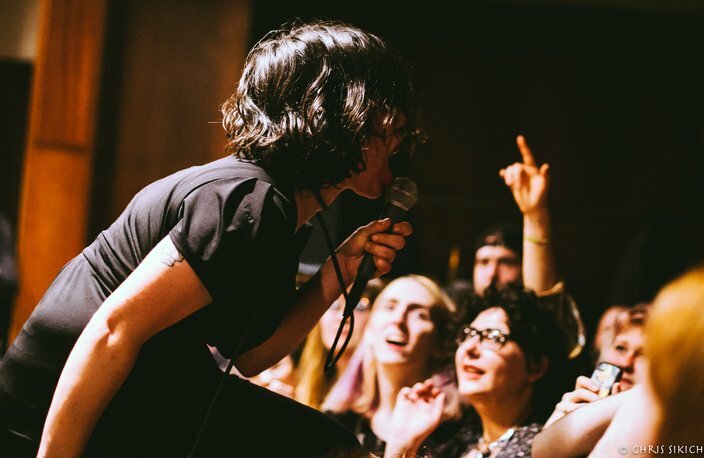 The crowd was full of pent-up energy, too much so for Paternoster, who advised everyone to dance with much less violence. 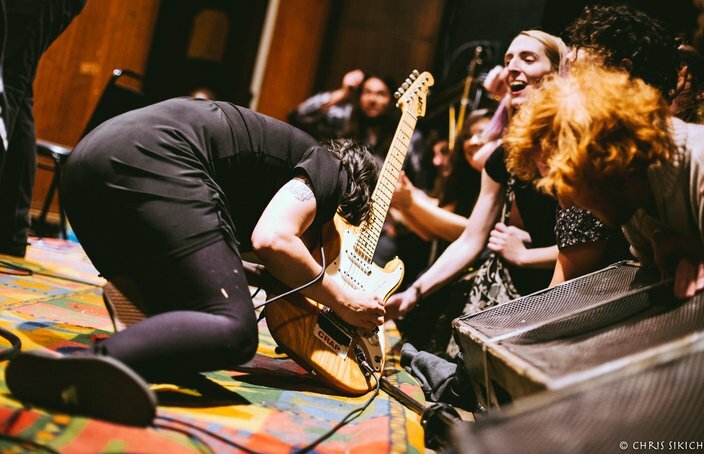 The conclusion, a paradigm-shifting monster of a rendition of “Boyfriend,” complete with Paternoster crowd surfing and lying outstretched on the Church’s forever memorable numbered carpet on stage, left everyone in awe of her and the band’s superpowers. 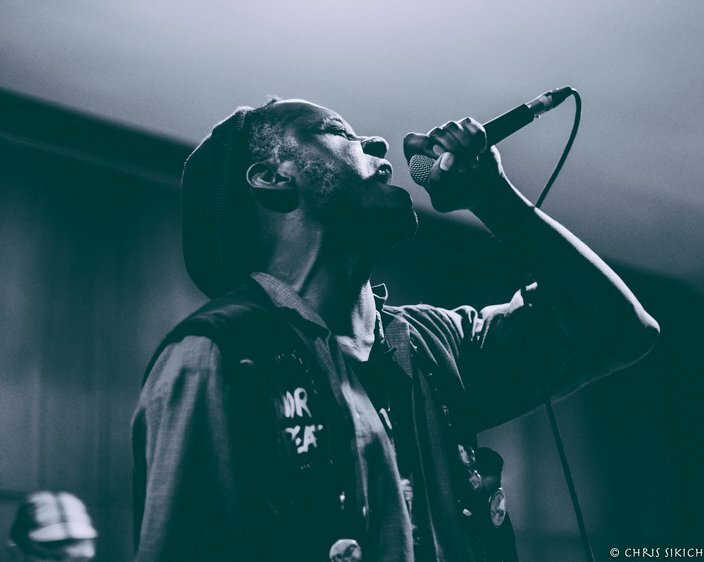 There is no building or sky they cannot conquer. 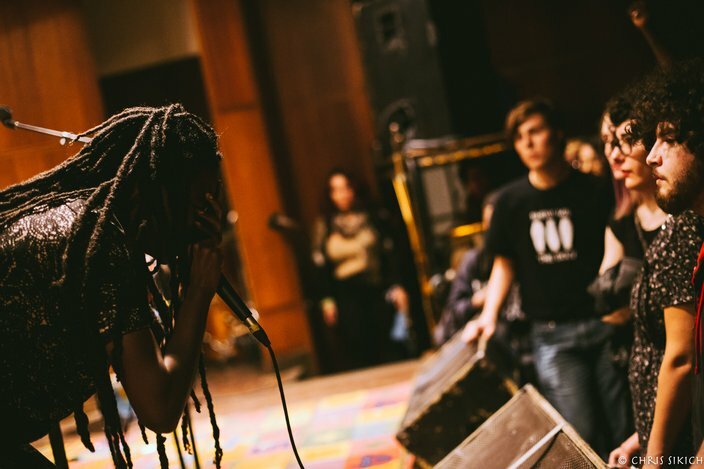 A one-of-a-kind West Philly artist Moor Mother preceded Screaming Females, layering samples, live vocals and, at times, live saxophone, to deliver a thoughtful, timely message. 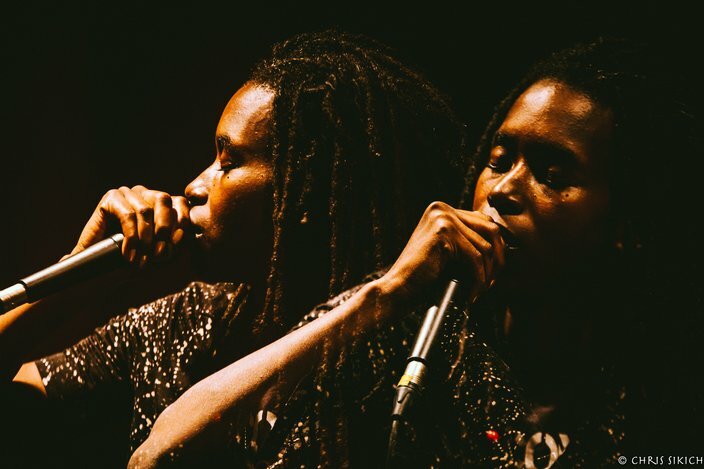 Upset with the crowd’s lack of movement and energy, Moor Mother demanded a response and by the end of her mesmerizing set, she finally got the connection she deserved. 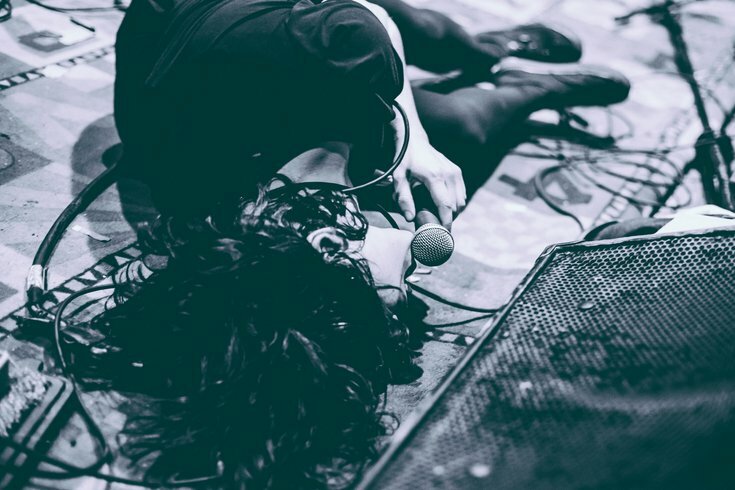 Her 2016 release of “Fetish Bones” is a necessary listen and her live performance is one you will not soon forget. 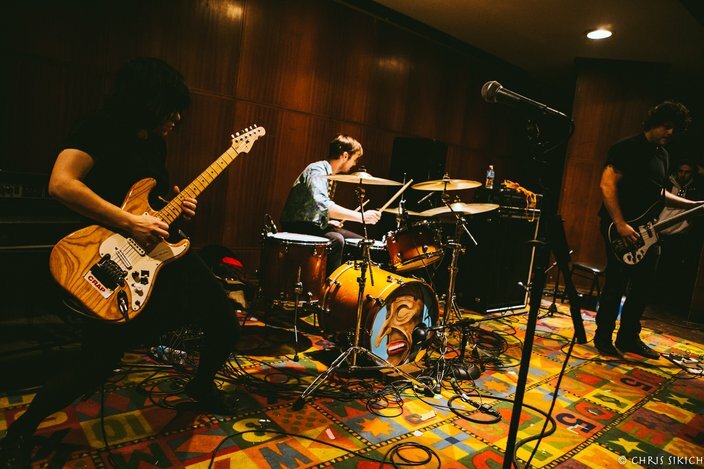 The night began with two memorable sets; Ronnie Vega fell in between rock and rap with a brilliant opening selection of songs while Psychic Teens followed with their own lighting and a propulsive sound that echoed in the bones. 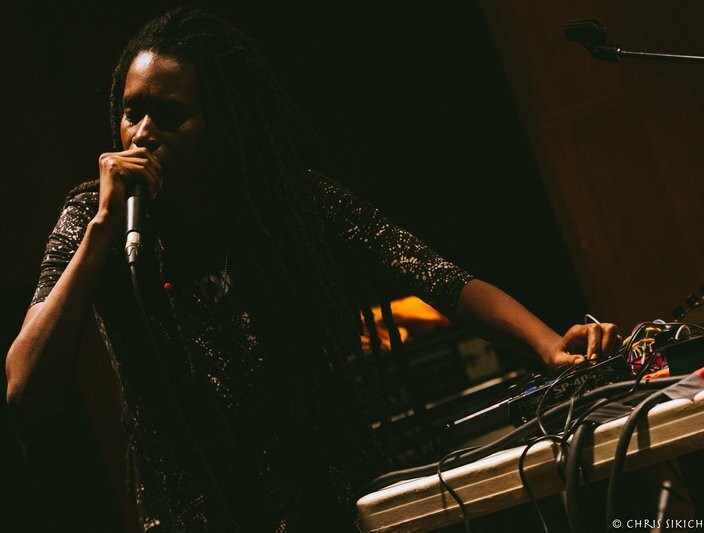 Moor Mother plays First Unitarian Church on Nov. 6. 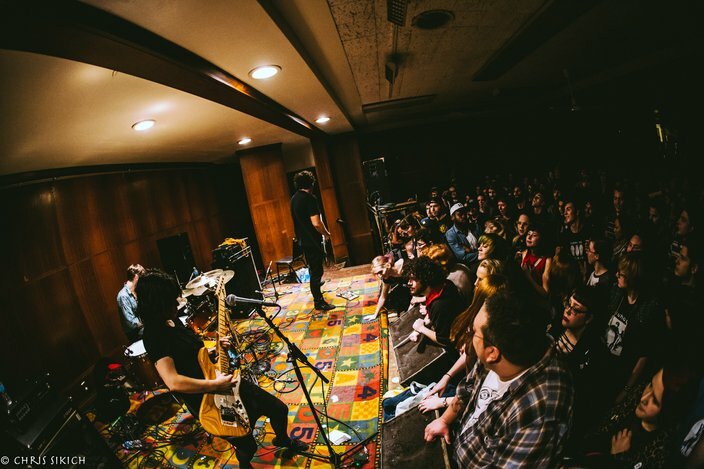 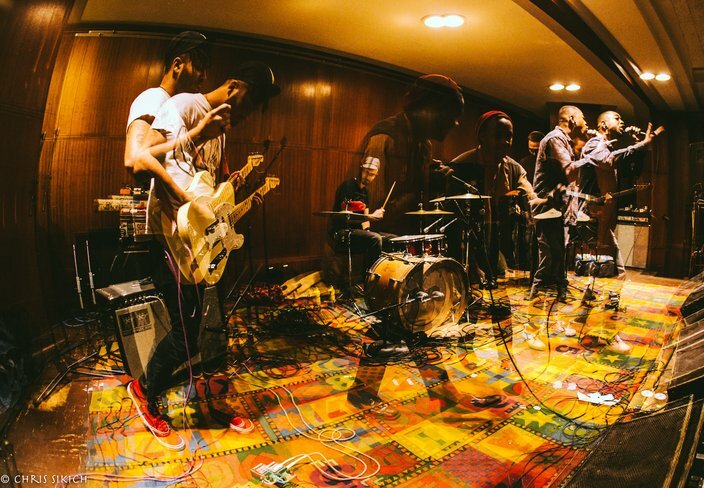 Psychic Teens play First Unitarian Church on Nov. 6.